Find the Texas divorce resources and information you need right here. 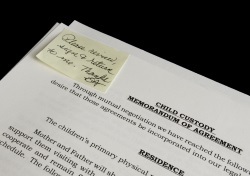 You can go over the divorce laws to make sure you know what your rights are, as well as access guidelines and tools to determine how much child support you may receive in your situation. You'll also be able to locate skilled divorce professionals to help with your case and access support services to help you face the challenges of divorce and begin the healing process. Find out how to list your professional services here. Getting divorced or fighting for custody is a challenging experience which can bring a lot of uncertainty into your life. Our team of Family Law attorneys have decades of experience and understand the sensitive issues you are facing. We will work diligently to make sure your rights are protected and develop sensible strategies to help resolve your case in a timely manner. We don’t believe in costly litigation and offer affordable alternatives to reduce the stress and reach an outcome to satisfy your needs. John K. Grubb and Associates, P.C. You deserve quality and aggressive representation. Austin family lawyer Abraham Kant has an extensive knowledge of the law and is equipped to handle all divorce and family law matters. He is committed to helping you navigate the complexities of divorce, protecting your legal rights, and ensuring a fair division of assets and debts. He can also help with child support, alimony, post-divorce modifications, adoptions, military divorce and more. With attention and dedication to every case, Mr. Kant can help your divorce or custody proceedings go as smoothly as possible. Call today to schedule your consultation! Amber Shemesh is a shareholder, family law attorney, and family law mediator at MAS Law Firm. She has been practicing family law in State of Texas since 2010 and serving clients in Dallas, Collin, Denton, Tarrant, and Rockwall counties. She represents clients for Contested Divorce, Agreed Divorce, Divorce Mediation, Child Support, Child Custody, Parental Rights, and Adoption. She leads a team of family law attorneys, case managers and legal assistants who are passionate to serve clients for their family law matters. Amber Shemesh is passionate to fight on behalf of her clients for their divorce, custody battles, child support payments, and domestic violence. She believes on fighting for her clients and getting them the legal help needed to get results for their family law issues. If you or a loved one is facing a family law issue, Amber is here to meet with you with a free consultation appointment to discuss your case.. Need a Divorce Lawyer? Find pre-screened, experienced attorneys in your local area willing to handle your divorce or family law matter. In a divorce, you can negotiate your issues privately in mediation -or- take your case to trial and risk the possibility of the judge handing down an ill-fitting court order that nobody is satisfied with. Which will you choose? At Détente Mediation, we use a collaborative approach to mediation. Family lawyer and mediator Stacey H. Langenbahn teams up with divorce coach, Linda Miller-deBerard to help you negotiate the issues of your divorce settlement. We can help open the lines of communication and flesh out your options so both parties are satisfied with the outcome. Ultimately, you can reach a fair settlement in your divorce, custody, support, or post-divorce modifications at a fraction of the cost of taking your case to trial. 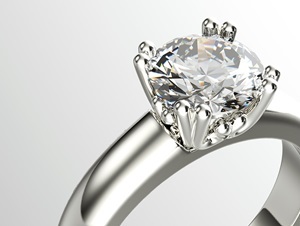 For a free 30 minute consultation, call 817.283.5100. As a CDFA, Pam Friedman helps clients work through the complexities of identifying and dividing marital assets in divorce, including assets which may be under reported or hidden. She also helps clients determine the short and long-term impact of divorce settlement proposals as well as providing post-divorce support to help them create a new financial plan, change beneficiaries and wills, estate planning, and more. Contact Pam if you're struggling with the financial aspects of your divorce. Have All of Your Documents Completed For You! This service helps you easily prepare your own divorce papers without a lawyer by guiding you through a series of directed questions. And it's a great do it yourself option if your divorce will be uncontested (with or without children). 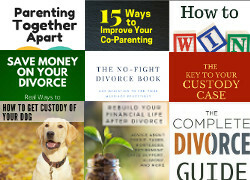 This is the quickest method of doing your own divorce, plus you'll gain access to various e-books and products which cover many of the topics needing to be addressed in your divorce. Start your Texas divorce today. QDRO Document Preparation - Create your own well-crafted Qualified Domestic Relations Order and the supporting documents by using QdroDesk™, the proven online QDRO preparation service that is used by individuals and lawyers alike. Find other local divorce support groups, such as meetings held by DivorceCare, groups for those supporting survivors of domestic abuse, and support services for children affected by divorce.